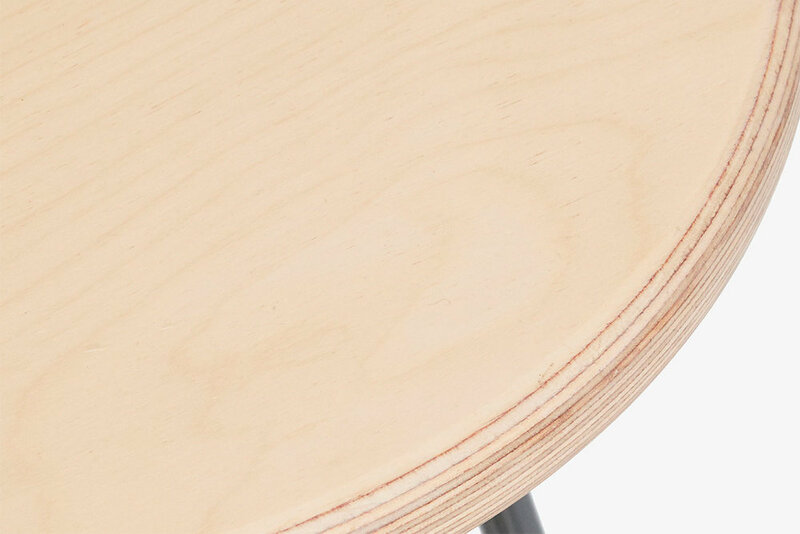 It's hard to overstate the impact plywood has made on contemporary design and manufacturing. Cost effective and unbelievably strong, without question, ply offers more bang for your buck than any other wood. Russian Birch is a very pale, almost white, straight grained Hardwood. Our plywood is created by layering multiple 1.3 mm sheets of Birch veneer on top of one another to create a single, 24mm thick sheet. This produces the distinctive layered end-grain which when sanded will look incredible, well worth showing off. On the sheet surfaces the grain lines are usually quite broadly separated and toffee/biscuit coloured, very much resembling the lines of a contour map. There is almost no relief to the grain meaning the surfaces will be all but perfectly smooth when finished. Our plywood receives two coats of a blend of oils and waxes that will form a highly durable, natural looking finish for many years to come. Once treated the colour remains only very slightly deeper than it's beautiful, pale, original hue.